all seed stitch, all the time. 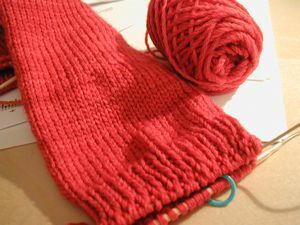 I’m almost done the red socks – I just need to bind off the second one, in fact! FO picture soon! 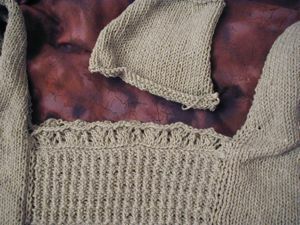 I finished the knitting on the Corset Pullover, and I also knit a swatch to throw in the wash to shrink, which I’ll then unravel to seam with. Rather than attaching the lace edging by grafting (which I could’ve done if I’d been smart and put the neck sts on a holder…but oh well) I just bound it off and sewed it on. 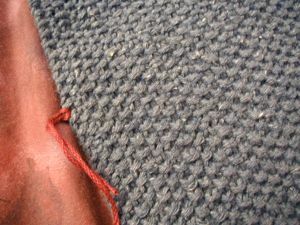 Some progress on the Monk’s Satchel – I’m marking every 12 inches as I go to make it easier to measure. 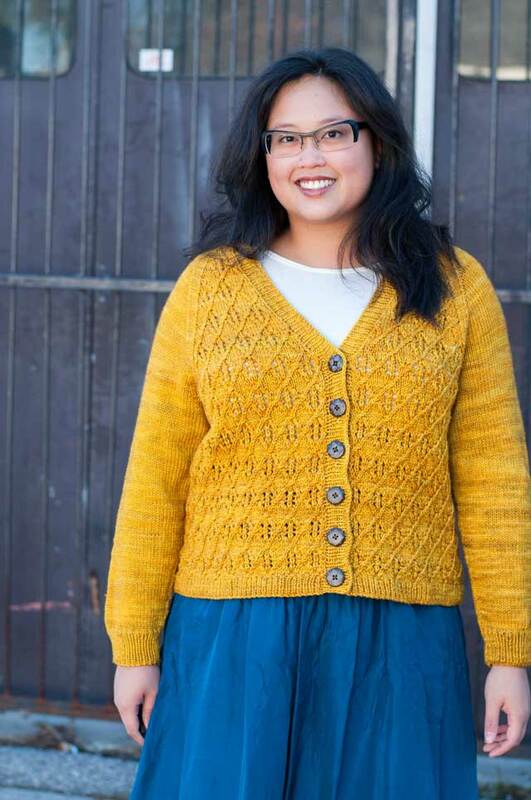 And the last thing, I started the Phildar jacket out of the Katia Pisco I got from Elann – it’s really soft stuff. 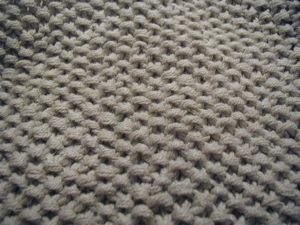 I do keep pulling bits out of the yarn though – I suspect they’re bits of linen that didn’t quite get combined. It’s going really fast, and the yarn is so light that the 50 g balls have 96 yds of chunky weight. edit: blogger is being HORRIBLE (“performance enhancements”)…riiiight. 10th time’s a charm.